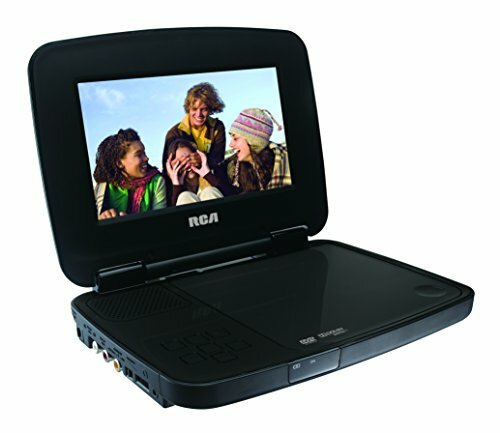 We don’t have a television or DVD player, so we got this portable DVD player to enable our kids to watch movies on devices other than the computer. We picked this one mainly because it was the cheapest one at Target, but it turned out to be a decent basic player. The controls were easy to use and the construction sturdy enough to stand up to a fair bit of abuse from the two year old, as well as more gentle use from the older members of the family. After almost a year of frequent use, it finally kicked the bucket after the little guy spilled water on it, but prior to that it survived being dropped, stepped on, and more. Our primary complaint was the relatively low volume, which worked okay for louder movies but could make dialogue hard to hear in quieter ones. Some sort of child lock to prevent the toddler from randomly stopping, skipping, fast forwarding, etc. would have been appreciated as well, but if all you need is an inexpensive device with basic features, this is a good value.